According to a recent study by the Royal Society for Public Health, ‘High Streets hosting too many businesses such as betting shops, fast food outlets and off licences could be shortening the lives of locals’. The research found that people living in an area with a ‘healthy high street’ can on average live 2 1/2 yrs longer than those living near an unhealthy one. Based upon this a scale which has been drawn up in order to rank and score the ‘health of a high street’ which briefly means that leisure centres, health clubs, libraries, pubs and bars all generate a positive impact on health and well being, whilst tanning shops, fast food takeaways, bookmakers and loan shop have a detrimental effect. We are very fortunate in Totnes that there are no fast food and drink chains indeed Costa Coffee’s attempt to get a foothold in the town was famously rejected in 2013. With Totnes Leisure Centre and Totnes Tennis Club within walking distance of the high street and the library on the high street our town scores highly. Much has been made in recent years of reinventing and rejuvenating the High Street. It looks to provide customers with an experience beyond just the ‘retail’, which is not only a reaction to out of town shopping centres, but is in an attempt to provide the local community with a positive experience of town life and all that encompasses. 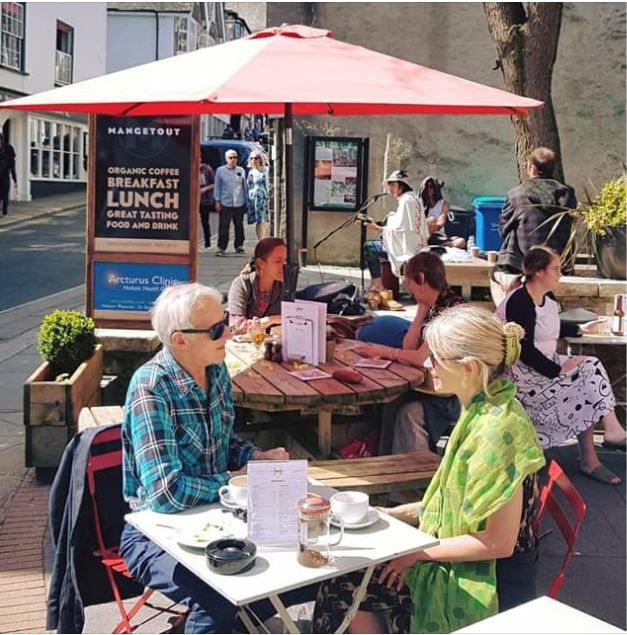 This is something Totnes does splendidly, ranking highly with many of the indicators of a healthy street environment having things to see and do, places to stop, sit and linger awhile, a large number of people walk, run and cycle. Totnes has a not for profit community transport called Bob the Bus that runs through the town centre and local villages which not only encourages those who can to walk, but also helps to maintain healthier air levels by keeping cars off the road. Very vitally the needs of people on all levels of income are met in the diversity of businesses within the town centre whether you are looking for a unique gift for an anniversary or some nails from the Hardware Store Harris and Co.
Totnes has a very vibrant independent scene, indeed so much so that it comes sixth in a list of medium–sized towns with more than 80% of the shops being independently owned. There are more alternative-therapy practitioners than anywhere else in the UK and it has even been jokingly referred to as being ‘twinned with Narnia’, although in reality it is twinned with Vire in France! 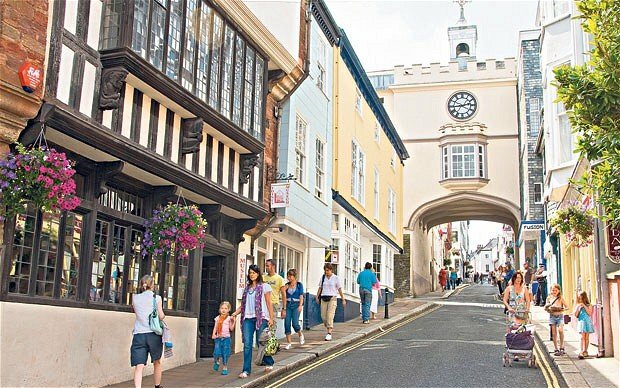 As one of the first Transition Towns in the UK – which put very simply is ‘to provide a blueprint for communities to enable them to make the change from a life dependent on oil to one that functions without’ – Totnes embodies and embraces many of the positive attributes required for a Healthy High Street whilst barely trying. A walk through the town from the Plains up Fore Street to the High Street, and into the Narrows clearly illustrates businesses and a community working together to this aim. 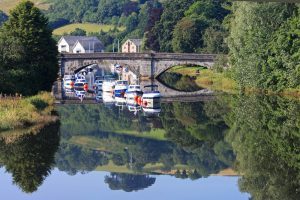 The people of Totnes have a genuine respect for the environment and this is reflected in the desire to shop locally and where possible keep food miles to a minimum. So here’s hoping that by looking to the future in this manner we will all have a healthier and more sustainable lifestyle which will prove beneficial to us all…. If you like the look of Totnes and are looking for a property in the area then do contact us to discuss your requirements.